A well conceived palette of soft cotton solids in an array of shirting blues and violets make a superlative version of this traditional pattern. The fabrics are men's and women's clothing colors. 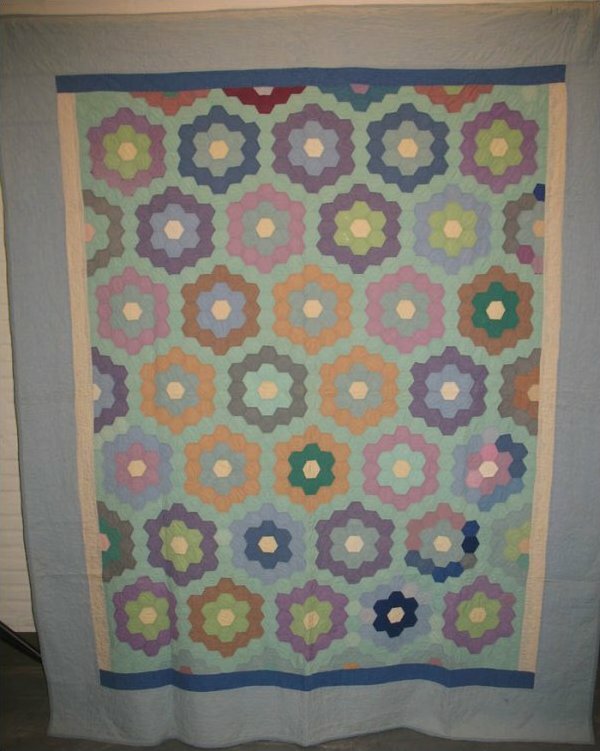 The piecing is the the classic hexagonal design as filtered through the Amish color sensibility. A pleasure to look at. Maker unidentified, collected in Ohio.